Looking for a place where your event will be planned to the letter? VIAGE is your spot! Turn your party, seminar or teambuilding into a wonderful spectacle where every single guest will be excited to be part of. Forget about your worries! We have it under control and will make sure you can relax and enjoy the evening with your guests. We can provide you with food and beverages, depending on your wishes. Our unique venues are all located in the heart of Brussels and have different qualities to speak for: are you looking for a panoramic view over Brussels or a classy casino atmosphere? You choose! Made your choice or still looking for some specific information? 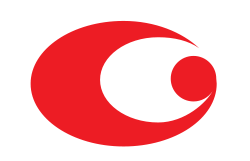 Fill out the form below and tell us a bit more about your event so we can provide you with a custom offer. See you soon! 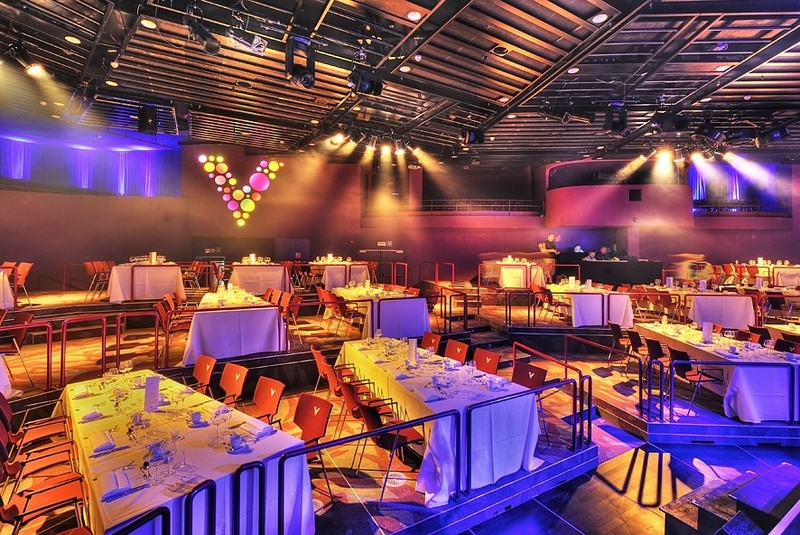 The Viage Theatre is one of those dream locations for your next corporate event! Thanks to its central location in Brussels, the spacious stages and the modern audiovisual facilities it is the perfect place to have a product launch, a show, a presentation or a dinner. Do you have some other ideas in mind? Let us know! Our Viage Theatre has hosted artist such as Prince, Paul Anka, Kool & The Gang, Vaya Con Dios, The Gibson Brothers, Hooverphonic and many more. Want to dream away among the greenery and with a unique view over Brussels? Our exclusive rooftop bar Là-Haut Viage makes it all possible. 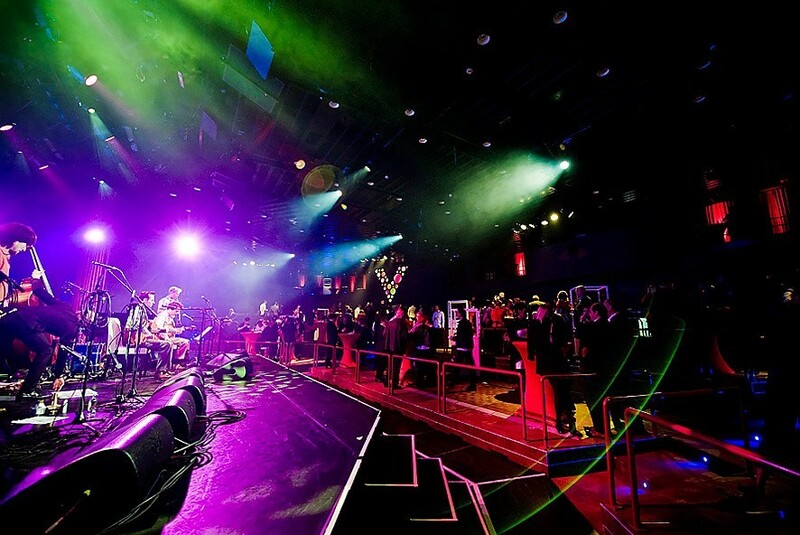 This venue has a total area of 225 m² and is located on the 7th floor of the casino. Because of the different facilities such as the 270 ° panoramic terrace, this is the perfect location for a wedding, a reception or a corporate event. The sky is the limit! 3 different bars, 2 of which are on the panoramic terrace. Are you looking for a unique location for your company event, birthday party or other event? 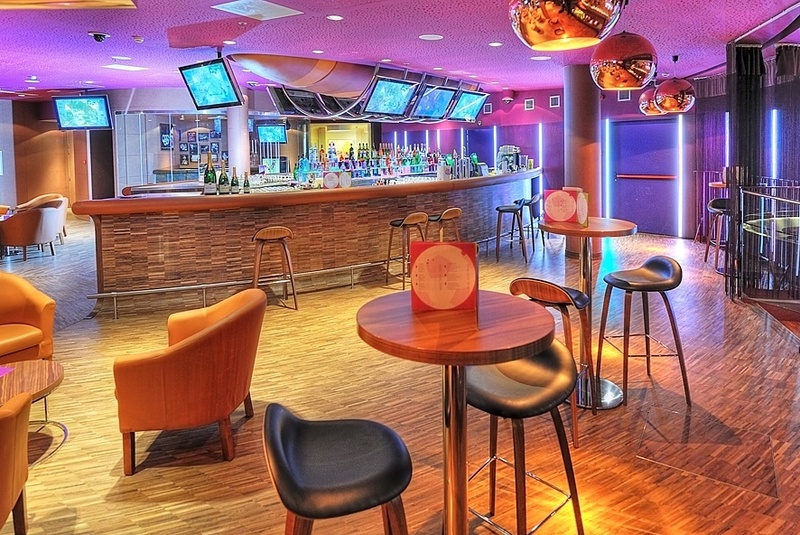 Be sure to check out our Sports Bar with all its facilities. Thanks to the customized catering formulas, 12 large TV screens and the professional service we can take your event to the next level. Luxurious setting with leather seats, 12 HD TV screens, etc. Do you soon have a meeting, a product presentation or another company event? The luxurious Mystique Suite might be what you are looking for. 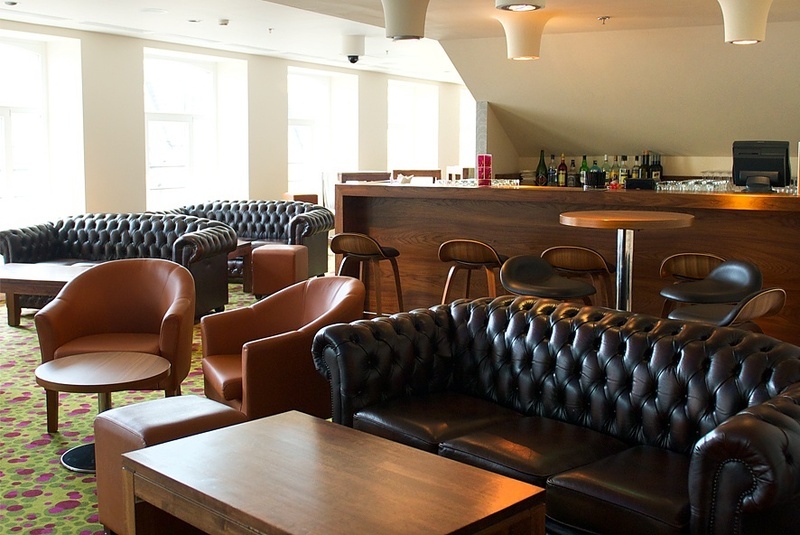 Have a meeting in style and relax in the luxurious seats afterwards with some music and a refreshing drink. Do you want to take your company or private party to a higher level this year? Why not go for Grand Casino Brussels? Immerse your guests in the unique casino atmosphere with live entertainment, demonstrations and more! Ideal for a first introduction to the wonderful world of blackjack, roulette or slot machines. Discounts and special promotions with our Royal Rewards - become part of our royal family and get discounts on food, drinks, gadgets and much more. 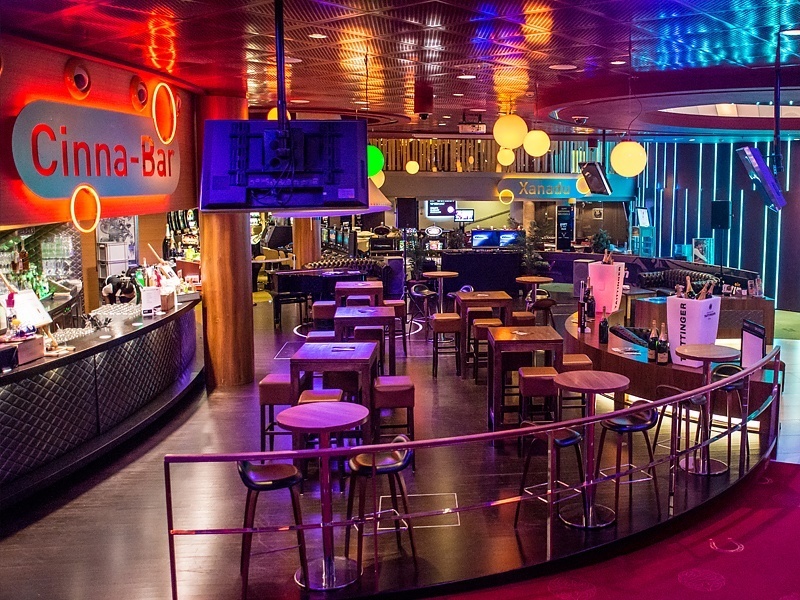 The Cinnabar is the beating heart of our casino with bartenders that are ready to serve you your favorite drinks, provide snacks and provide help where needed. Happy hour every day between 5 pm and 6 pm. 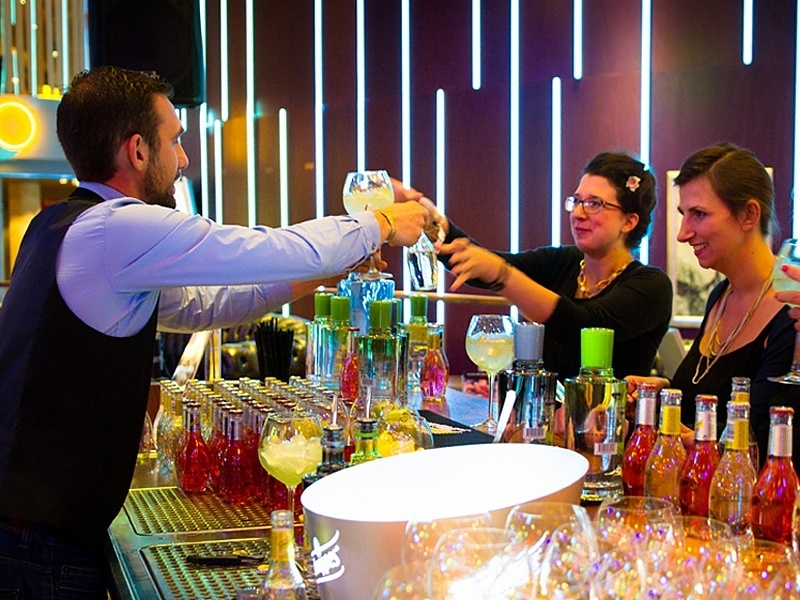 From Thursday to Sunday we have a special cocktail bar with professional cocktail bartenders who mix the most exotic drinks for you. Enjoy a well-deserved cocktail after work or during the weekend. 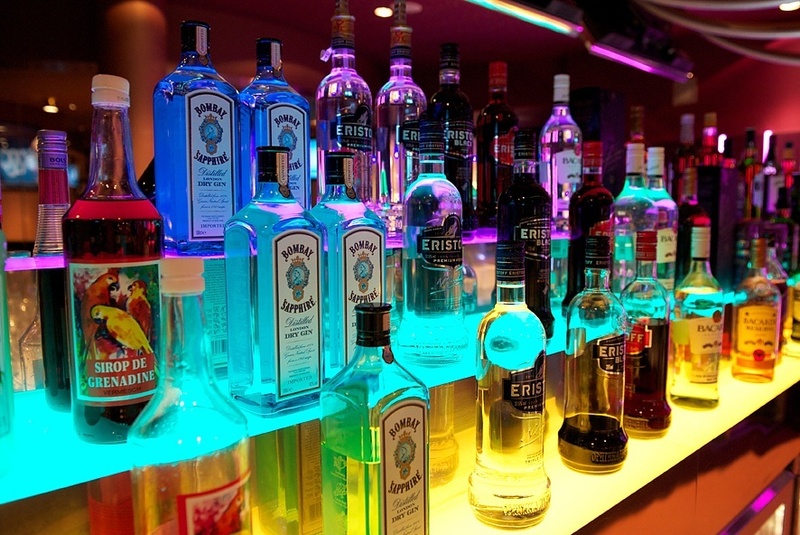 Open from 6 Pm until 2 Am (4 Am on Fridays and Saturdays). Happy hour from 7 pm to 8 pm. Are you looking for the perfect venue for your event or celebration? VIAGE has everything you are looking for. Fill out the form and we’ll let you know how we can work together.